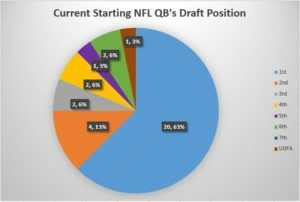 As you might expect the current projected starting QB’s most are drafted in the 1st round. This does not include the five 1st round picks this year who as of right now go into training camp and pre-season as back-ups (Baker Mayfield, Sam Darnold, Josh Allen, Josh Rosen, Lamar Jackson). If those 5 QB’s start at some time then their would be 23 1st round starting QB’s or 71% of the NFL would be starting 1st round QB’s. 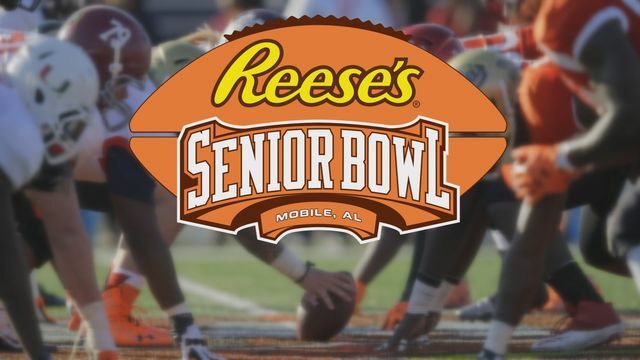 (Josh Rosen would replace 1st round pick Sam Bradford in Arizona and Lamar Jackson would replace 1 round pick Joe Flacco). 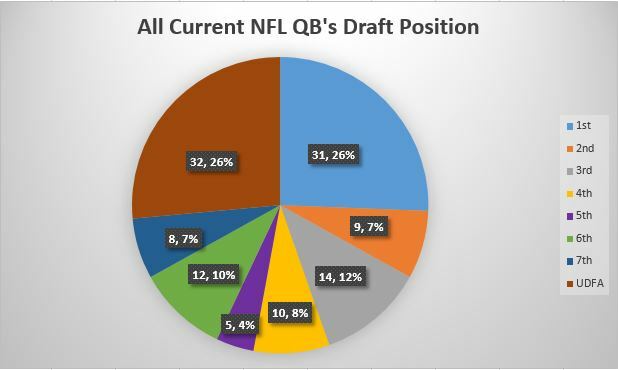 If you look at all the QB’s currently in the NFL after the most is 32 QB’s that were undrafted and then second is 1st rounder with 31 QB’s being selected there. The round which has produced the lowest amount of current NFL QB’s is the 7th round were currently there is only 8 QB’s who were drafted there.